Parking in the museum parking lot for the concert held in the House of Happy Walls, Historic Museum. 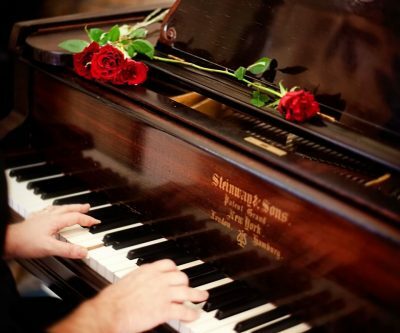 Surprise mom with a Mother’s Day concert featuring piano music by George Gershwin (1898-1937) and the music of his times; including ragtime, jazz, and classical. Promises to be a lively concert! Arrive early to see our newly redesigned House of Happy Walls museum then transcend the everyday with an afternoon listening to your piano favorites played on Charmian London’s 1901 Steinway piano. Due to the limited seating, please make reservations. Refreshments will be served at the intermission. Since 2011 the Piano Club has presented quarterly concerts, raising over $18,000 to benefit operations at the Park.